Typically there is a rest day at LBC after summiting Lobuche, but because we had lost a day due to bad weather, we all decided to move to EBC the following day. Besides, the lure of hot showers and internet connectivity and laundry was too much to refuse. What a difference a few days can make! 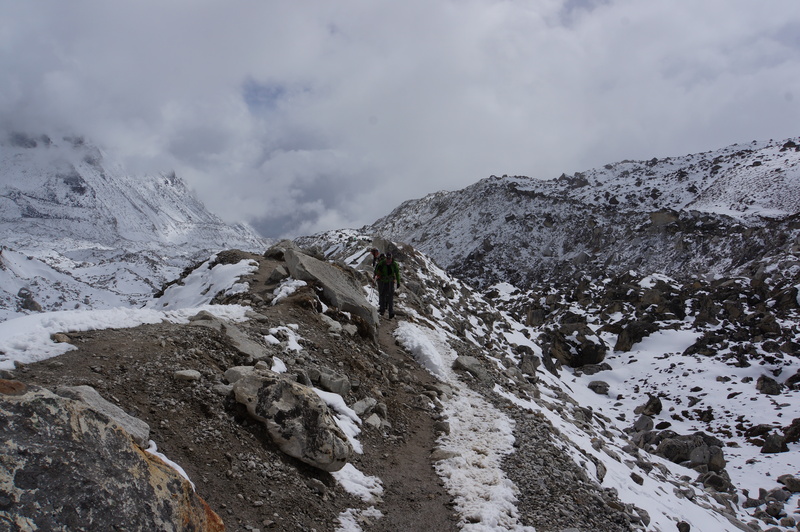 This trek up to EBC was much, much easier and more comfortable and speedy than the last time we headed up. 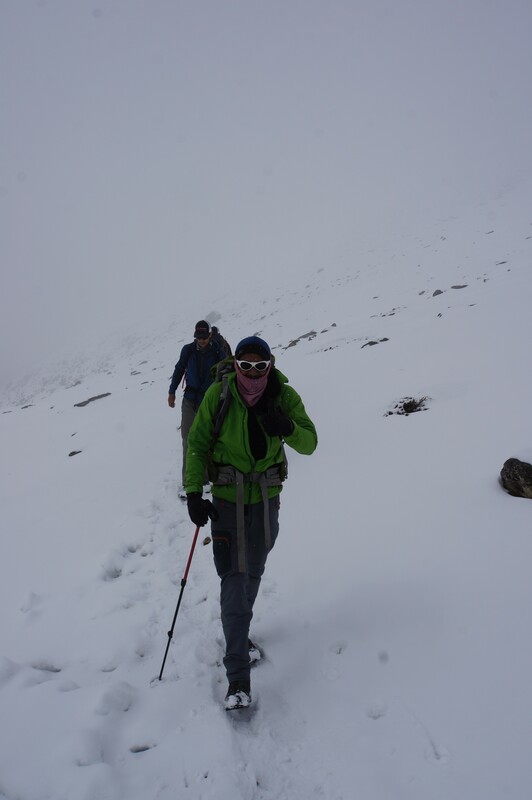 More snow should have slowed us down, but in reality I felt much more acclimatized and fit, and the miles sailed by. Again, the valley was spectacular, and again we enjoyed passing and chatting with another IMG team headed to take our places at LBC. There is a tiny hill on this route that last time left the entire group hacking and gasping and coughing and snotting up the place. Blake calls it “Cougher’s Hill.” This time, we nearly ran up it and felt fine at the top. Again, I am amazed by the adaptations we are seeing in our bodies. This program really works! 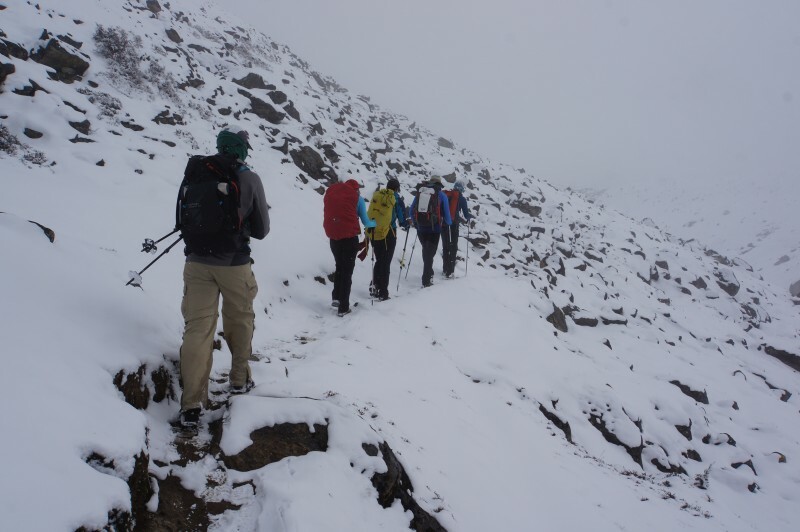 We hightail it up to the high country of EBC. Siva books it out of LBC. The trail to EBC follows a ridge of debris that abuts the lateral moraine below. We share the trail with beasts of burden. Ghost Yak… always a good omen. 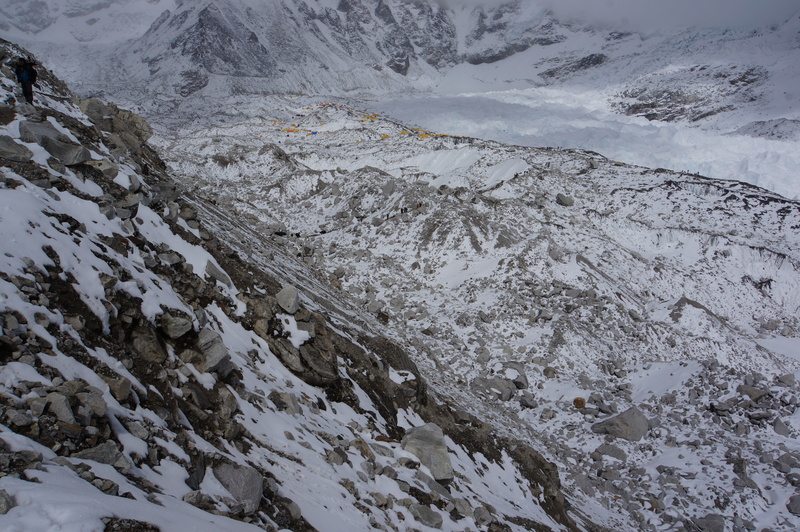 EBC in the distance, terminal icefall to its right. 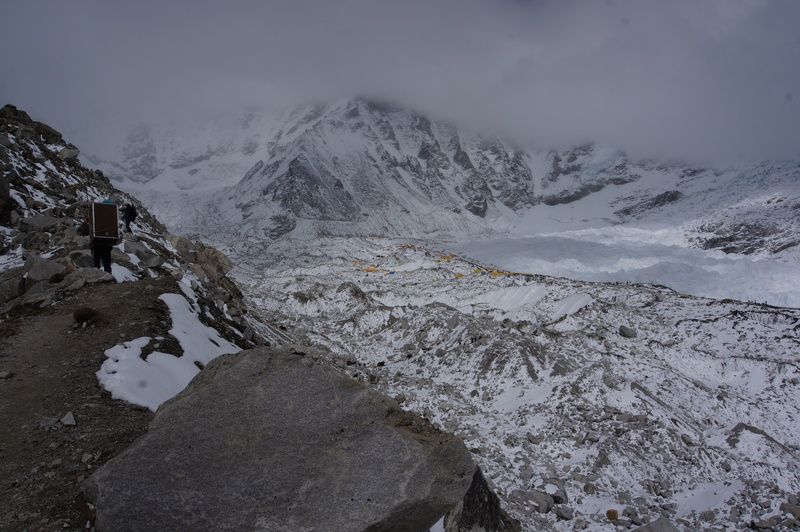 A closer glimpse of the jumbled camp we will call home for the rest of the expedition. Looks tiny, no? EBC and leisure time, well earned after Lobuche. Laundry, showers, great food, and movies in the fun tent. Also, a chance to connect with old buddies climbing with different outfits (though I’m looking forward to even more of these reunions). It’s quite cold at night, but variable during the day, with temps that will be near zero if the sun hides behind a cloud, or up to 90 in direct sun. 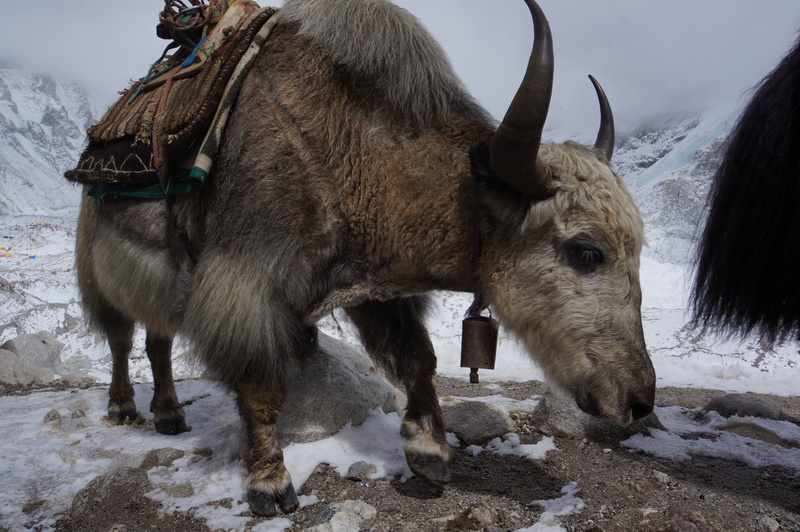 We are managing to thrive in this land of extremes, thanks to the amazing support we enjoy from our sherpas and guides. 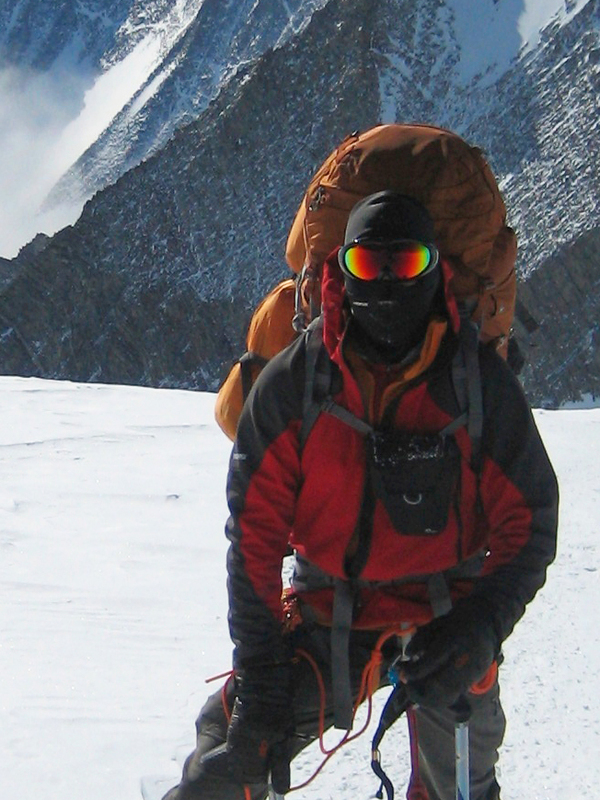 The next phase of the climb involves getting higher and higher on Everest. 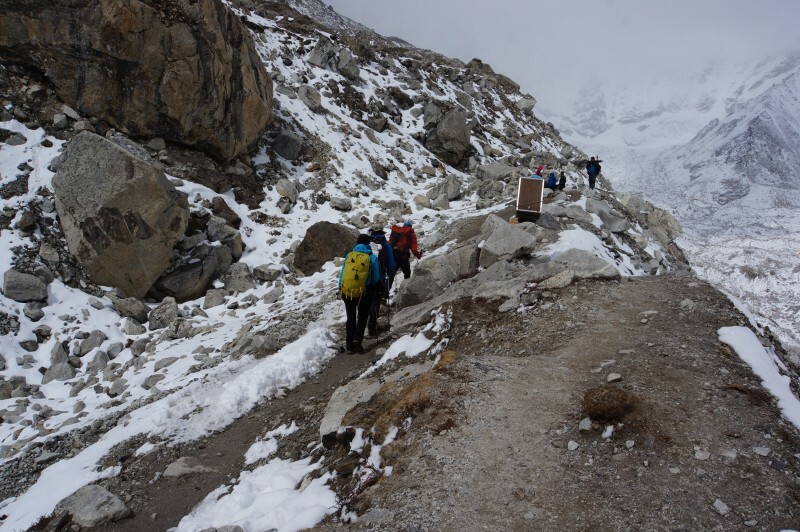 This means that safe passage must be established through the icefall by a special team of “elite” sherpa guides, known and the icefall doctors. They have already made a route through the center of the icefall (which is not only safer from icefall off the west shoulder than last year’s route, but is also by rumor about 45 minutes faster than last year, which is a very good surprise). 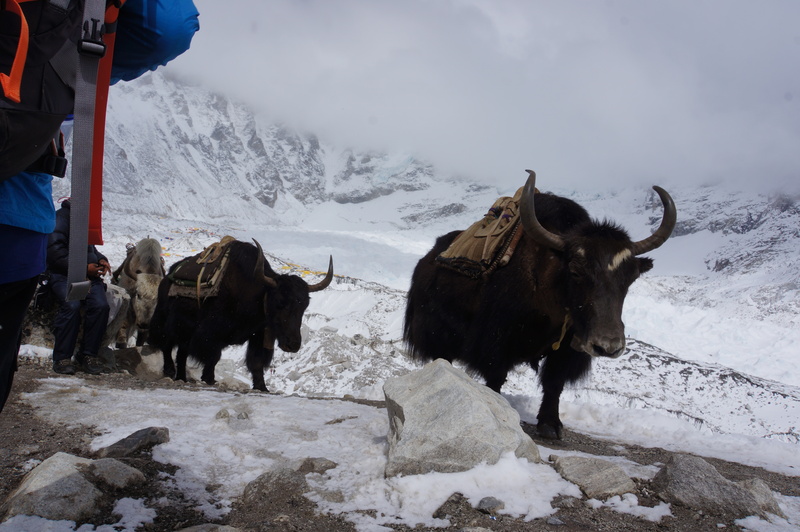 Camps must be established above the icefall, and when snowfall conditions allow, our sherpas will forge ahead and set up those camps; this cannot be rushed, but rather must happen when conditions permit. Thus, we may be in EBC for the next few days while the mountain settles down and becomes safe for passage. Up next: Practice crossing ladders tomorrow, if weather permits.